Allahabad is among the largest cities in Uttar Pradesh. Hindu mythology has it that for the Prakrishta Yajna, Lord Brahma, the creator God of the Trinity, chose a land on earth, on which the three rivers would flow in to a quiet confluence. Brahma also referred to it as Tirth Raj or the King of all pilgrimage centres. Recorded evidence also exists in the revered scriptures (the Vedas and the grand epics, the Ramayana and the Mahabharata, as also in the Puranas) of this holy place formerly called Prayag. Allahabad stands at the confluence of two of India's holiest rivers, the Ganga and the Yamuna. Sangam, as the confluence is called, is the venue of many sacred fairs and rituals, and attracts thousands of pilgrims throughout the year. This number swells to millions during the world-famous Kumbh Mela. An annual Magh Mela is also held in Allahabad around the Sangam areas in the month of January (Magh is the name of month in Hindu calendar). A third mythical Saraswati river, believed to flow underground towards the Sangam, gives the confluence its other name, Triveni. 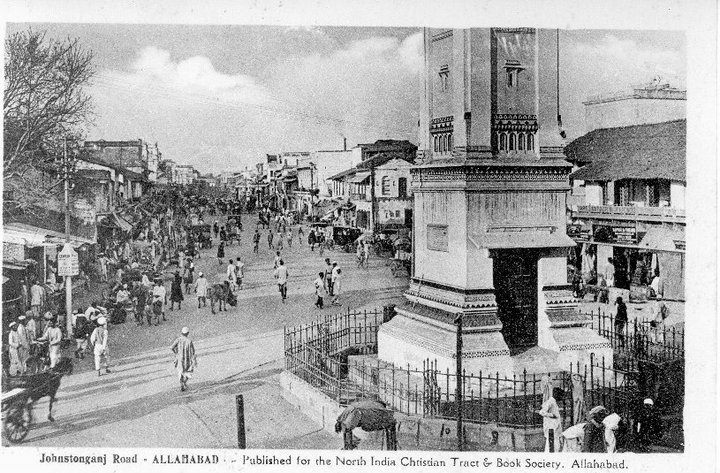 Over the centuries that followed, Allahabad remained on the forefront of national importance, more so during the days of the Indian independence struggle. The chequered history of Allahabad with its religious, cultural and historical ethos also gave rise to several renowned scholars (M. N. Saha, Harishchandra, Ravindra Khattree, Amar Nath Jha), poets (Suryakant Tripathi Nirala, Mahadevi Verma, Harivansh Rai Bachchan, Sumitra Nandan Panth), writers (Mahadevi Verma, Ramkumar Verma, Jagdish Gupta), thinkers (Purusottam Das Tandon), statesmen and leaders (Motilal Nehru, Jawaharlala Nehru, Murli Manohar Joshi) and the actor Amitabh Bachchan. The city being an important cantonment during the British Raj has some beautiful remnants of colonial architecture. 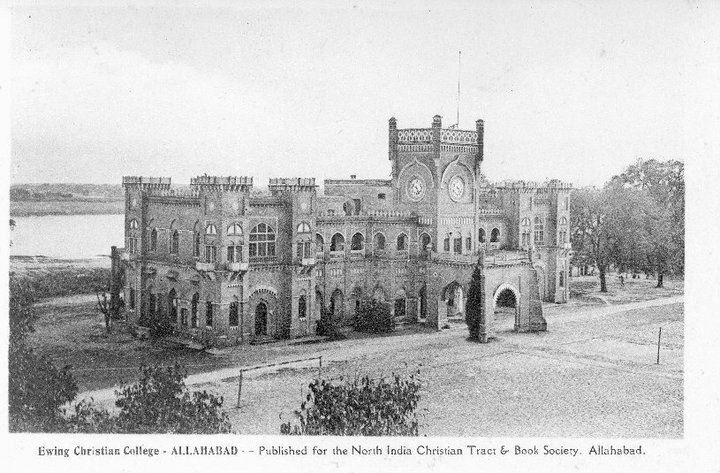 In the early 20th century, University of Allahabad was the foremost center of learning in the country. Allahabad, today is an important city where history, culture and religion create a confluence, much like the sacred rivers that caress this God-graced land. Allahabad used to have a thriving industrial suburb (Naini) till the 1980s, but then those public sector units started closing down one by one, forcing entire generations of young educated Allahabadis to migrate out of the city in search of work. Today, Allahabad is slowly inching along in its dream to be an IT hub. And the government adminsitrative offices remain alive and kicking. Allahabad has a humid subtropical climate common to cities in the plains of North India.The annual mean temperature is 26.1 °C (79.0 °F); monthly mean temperatures are 18–29 °C (64–84 °F). Allahabad has three seasons: a hot, dry summer, a cool, dry winter and a hot, humid monsoon. Summer lasts from March to September with daily highs reaching up to 48 °C in the dry summer (from March to May) and up to 40 °C in the hot and extremely humid monsoon season (from June to September). The monsoon begins in June, and lasts till August; high humidity levels prevail well into September. Winter runs from December to February, with temperatures rarely dropping to the freezing point. The daily average maximum temperature is about 22 °C (72 °F) and the minimum about 9 °C (48 °F). Allahabad never receives snow, but experiences dense winter. Allahabad has a literary and artistic heritage. Allahabad has been called the "literary capital of Uttar Pradesh", attracting visitors from East Asia; the Chinese travellers Huen Tsang and Fa Hien found a flourishing city in the fifth and seventh centuries, respectively. The city has a tradition of political graffiti which includes limericks and caricatures. In 1900, Saraswati first Hindi monthly magazine of India, was started by Chintamani Ghosh. Mahavir Prasad Dwivedi, the doyen of modern Hindi literature, remained its editors from 1903 to 1920. The Anand Bhavan, built during the 1930s as a new home for the Nehru family when the Swaraj Bhavan became the local Indian National Congress headquarters, has memorabilia from the Gandhi-Nehru family. During the 19th and 20th centuries, Hindi literature was modernised by authors such as Mahadevi Varma, Sumitranandan Pant, Suryakant Tripathi 'Nirala' and Harivansh Rai Bachchan. A noted poet was Raghupati Sahay, better known as Firaq Gorakhpuri. Gorakhpuri and Varma have received Jnanpith Awards. Allahabad is a publication centre for Hindi literature, including the Lok Bharti, Rajkamal and Neelabh. Persian and Urdu literature are also studied in the city. Akbar Allahabadi is a noted modern Urdu poet, and Nooh Narwi, Tegh Allahabadi, Shabnam Naqvi and Rashid Allahabadi hail from Allahabad. English author and 1907 Nobel laureateRudyard Kipling was an assistant editor and overseas correspondent for The Pioneer. Best way to reach Allahabad, if you are coming from outside India, is to take a direct flight to Delhi and then take one of the numerous connecting trains from Delhi to Allahabad. By plane : Allahabad Airport (IXD) also called Bamrauli Field is essentially a military base with a one-room passenger terminal and two commercial flights per day are run by Air India (IC 7801) and Spice Jet. It is easier to fly into Varanasi(120 km away) or Lucknow (200 km away) as both of these airports are much better serviced. By train : Allahabad is situated on the trunk train route from Delhi to Kolkata and from Mumbai to Kolkata, so it is well-connected by trains. Innumerable trains stop at Allahabad. The city has four railway stations, Daragang (near the confluence of the rivers Ganga and Yamuna), Prayag (near the University), Rambagh (city centre), and Allahabad Junction (the main station). In addition, another temparary railway station known as Prayag Ghat (to be distinguished from Prayag) is used during important religious festivals for the better management and control of extra pilgrim traffic on those occasions. By Bus : Allahabad is on NH2 and NH27 and is, therefore, well connected by road. Several buses ply to and from nearby cities and towns. Hire a cycle-rickshaw or an e-Rickshaw. They are the cheapest, best and most widely available means of transport. You will have to haggle for the prices, though. Auto Rickshaws(3-Wheelers) are also cheap modes of travel inside the city. City buses are available on certain routes but their arrivals and departures are unpredictable. Anand Bhawan. 8 am - 4:30pm. 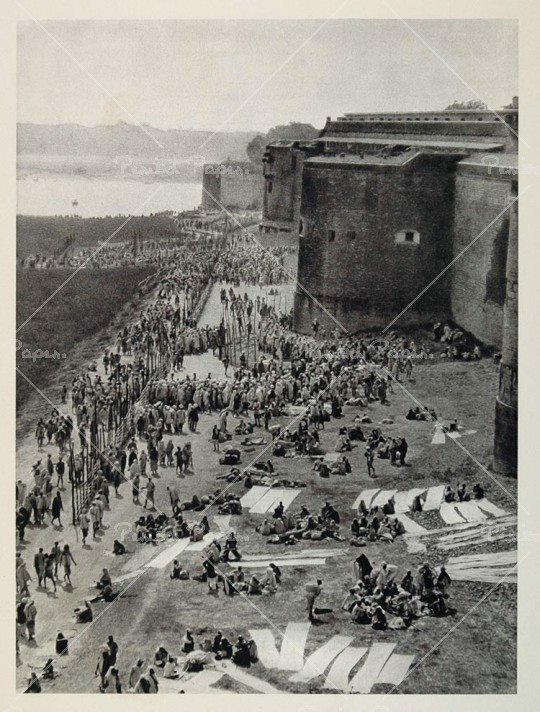 Learn about the intricacies of Indian struggle for freedom during early 20th century. Among many things, you will find the personal correspondence and family photographs of the Nehrus. Besides Anand Bhawan is Swaraj Bhawan, ancestral place of the Nehru clan. It offers a best way to know about Nehru family via its video shows which are scheduled hourly. Treveni Sangam - It is the "confluence" of two physical rivers Ganges, Yamuna, and the invisible or mythic Saraswati. It is a place of religious importance and the site for historic Kumbh Mela held every 12 years. Allahabad Fort. 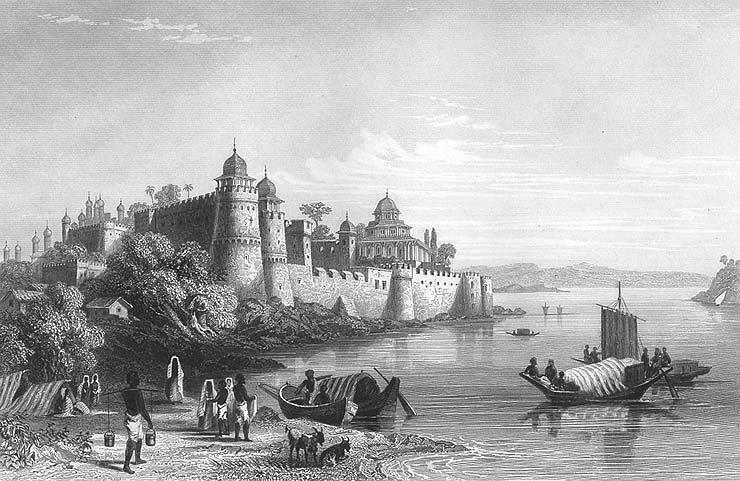 The Allahabad Fort, built from the year 1583 onwards by Akbar, stands at the junction of the two great rivers. Khusro bagh. 8 am - 8 pm. Khusro Bagh is entered through an old doorway that is 60 feet high. Khusrau was the elder brother of the Emperor Shah Jahan. He died in the year 1615 and the tomb was completed seven years later. The place is also known for famous 'Allahabadi Guavas'. Jawahar Planetarium. 11 am-4:30 pm. A place for those who are interested in astronomy. Shows are at every hour and charges are nominal. Thornhill Mayne Memorial. The marvelous monuments is perched in Company Garden. The monument has served as the house of legislative assembly in British era when Allahabad was the capital of United Provinces. Presently it has been converted to a library which is popularly known as Public Library. Allahabad Museum. 9am-4pm. Spot for the lovers of ancient history. 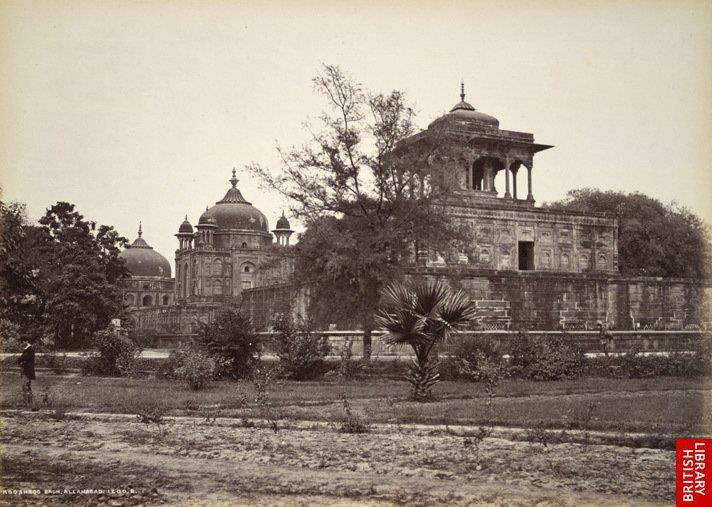 The museum is rich in remains of mighty city of Kaushambi and Srungverpur. Allahabad being a historical city, the museum offers a convenient way to explore the history of the city and vicinity. All Saints Cathedral. All Saints` Cathedral, designed by William Emerson (later President of the Royal Institute of British Architects) in complete Gothic style, was commenced in the year 1877. Standing in a grass compound at a major junction, it is in white stone with red sandstone dressings. The pavement to the choir and sanctuary is constructed pure Jaipur marble. Also known as Patthar Girja among local people, it is one of the oldest church of India. University of Allahabad Campus. Being 4th oldest (formal) university of India, it is a place to see some of the most beautiful monuments drenched in Gothic style. Zoological museum in Department of Zoology homes a unique collection of skeletons of mammoth and elephants. Company Bagh (Alfred Park or Chandrashekhar Azad Park). It is the place to experience the British era of Indian history. 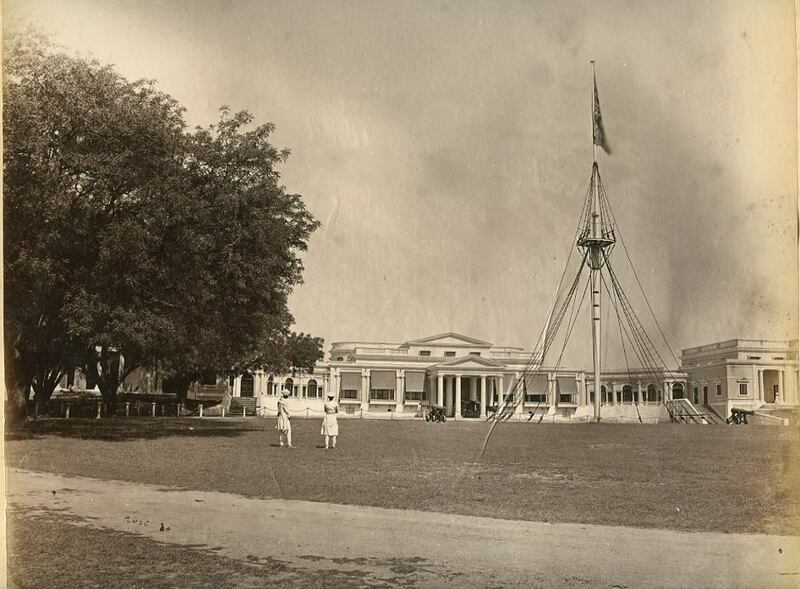 Encircled in this park are Allahabad Museum, Victoria memorial and public library. History is scattered at every step in the park. It was in this park where Chandrashekhar Azad, (freedom fighter) shot himself after only one bullet was left in his revolver so that the British can't catch him alive. Minto Park, (Between Fort and Yamuna Bridge). A historical spot where 'Company Raj' came to its end and India was formally transferred to the British crown. The park also homes a replica of famous Ashok Pillar upon which the national emblem of Indian Republic is perched. New Yamuna bridge. It is the longest cable-stayed bridge of India, located in Allahabad The bridge was constructed by the end of 2004 with the aim of minimizing the traffic over the Old Naini Bridge. The bridge runs North-South across the Yamuna river connecting the city of Allahabad to its neighborhood of Naini. A stroll or a cycle ride on the bridge at sunrise or sunset is extremely refreshing. Allahabad High Court. It is the seat of Justice in Uttar Pradesh, and is the oldest high court in the country with largest strength of judges. Walk in the Magh/Kumbh mela area. The days which are best to visit Allahabad falls in the Hindu month of 'Magha'. A stroll in the make shift streets of Mela area is blissfully energizing. Take a dip at Sangam. Spiritual and refreshing. Sitting along the river banks and seeing the flowing water is also worth to be done. Nagvasuki Ghat and Saraswati Ghat are suitable places for enjoying the serenity of river. Go at sunrise or after sunset to avoid crowds during Magh Mela. Take a boat ride down the Yamuna. Always try to have a skilled bargain with the sailors . Allahabad is a must visit place for the lovers of Indian history. Every area in the city and its vicinity is rich in historical evidences. 'Shrungverpur' is supposed to be of Pre-Harrappan period. Allahabad Museum, Anand Bhawan, Swaraj Bhawan, Khusro Bagh, Alfred Park and Akbar Fort are the incomparable testimony of recorded history. 'Gora Kabristan' or Kydganj cemetery has the remains of moguls of British era. Having a discussion with the history professors of University of Allahabad may be an unforgettable experience. Guavas are best bought in winter. The red-spotted guavas available in plenty (and at unbelievably cheap prices) are a major attraction. Rasgulle. Actually a type of gulaabjamun, 'rasgulle' (in vernacular language)are specialty of Allahabadi cuisine. Some remarkable shops in city are near Madwapur Petrol Pump, in front of Kamla Nehru Hospital and Netram in Katra. Water from the Ganga. Small brass pots of water from the Ganga sealed with wax are to be found just about everywhere near Sangam. These make a lovely souvenir.